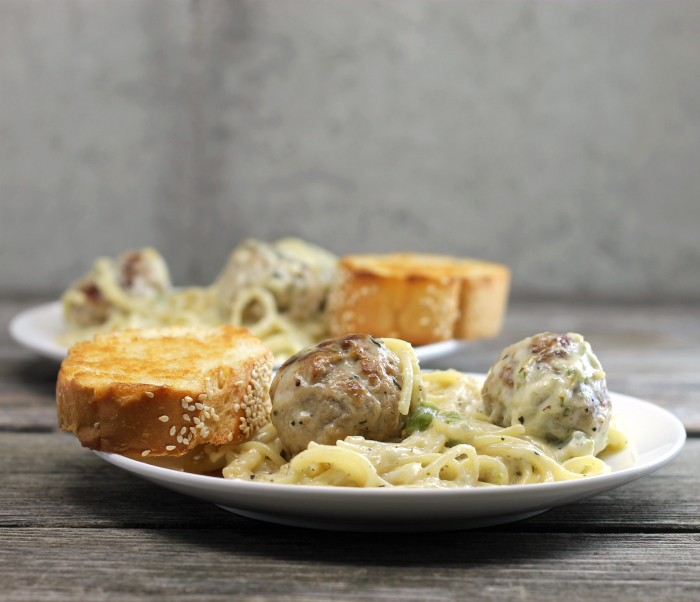 White sauce for pasta is a simple sauce that comes together quickly and is a perfect way to dress up your pasta and maybe even meatballs. After a short break, I am back. I don’t always share things that happen in my day to day life, but this time I thought I would share the reason I was off for the past week. We had a death in my family, my sister’s husband passed away just over a week ago. He has been battling cancer for the past few months and finally it ended his life. My heart goes out to my sister; I know she has a hard journey ahead of her. But she is strong and we are a close-knit family so we will be there for her. As for today’s recipe, this is a simple recipe with just a few ingredients. It is perfect for any night of the week dinner. I have always loved a red sauce when it comes to spaghetti and meatballs, but if you know me at all I like to change things now and then. Another thing that I totally love is cheese, lots, and lots of cheese. This recipe is all about that and more. 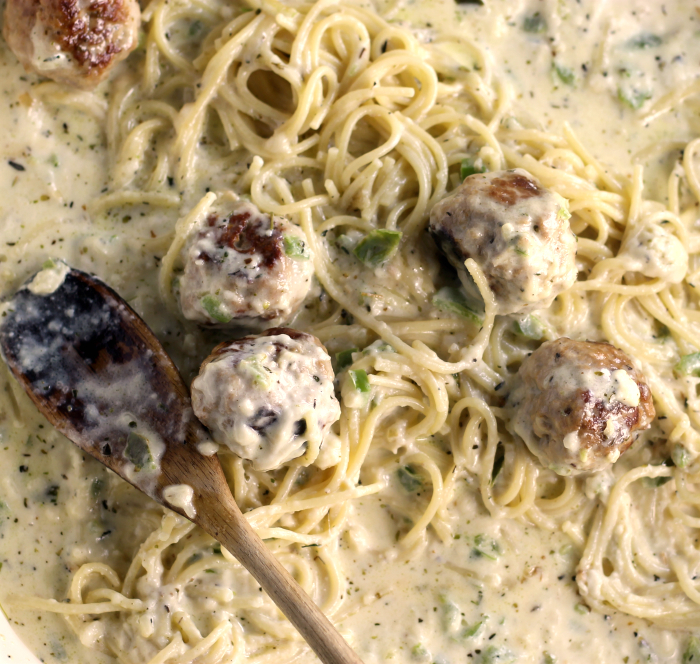 Plus you know at this time of the year I am always stressed out, trying to get ready for the holidays, so I really love having simple recipes like this white sauce for pasta, just add the pasta, some meatballs, and maybe some greens on the side and you are good to go. Are you ready for the holidays or are you stressing out? What is your favorite go-to easy recipe? If you like this recipe you may like this one. 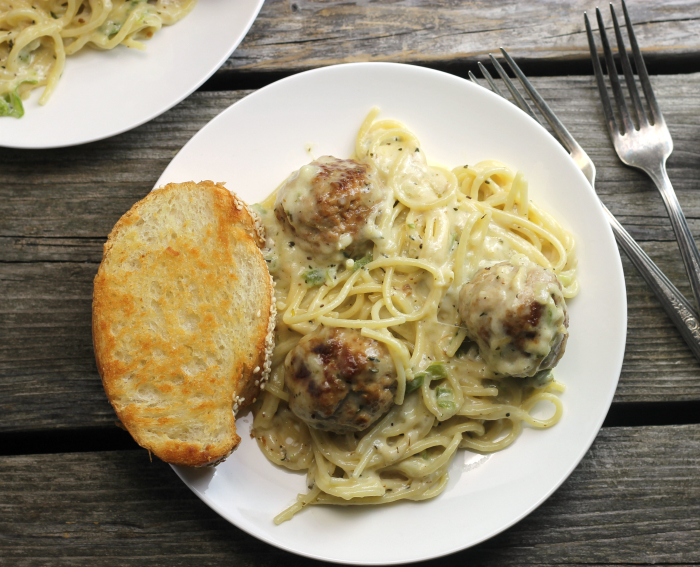 If you would like to make the meatballs for this dish, they can be made first and set aside. Heat olive oil in a skillet. Add the onion and green pepper, saute the vegetables until just about tender then add the garlic, continue to cook until vegetables are cooked through. Add the cream and wine, stir in. Add the cheese stir until the cheese is melted. 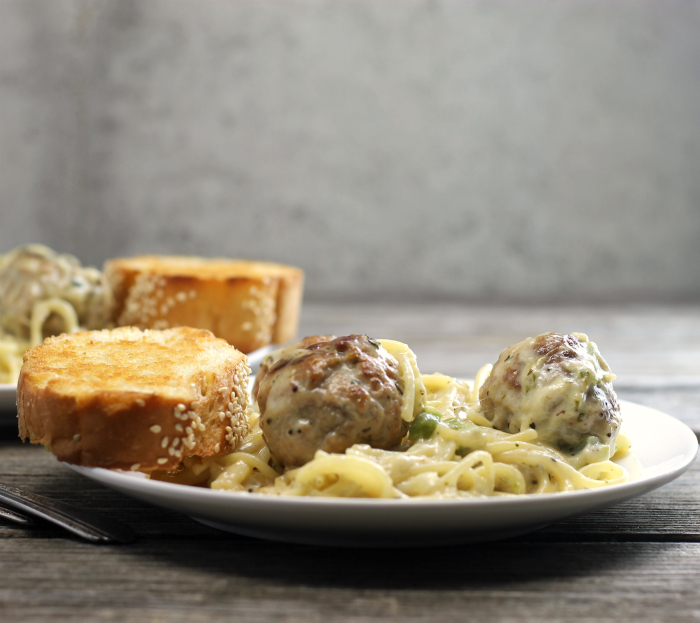 Here is a little history on pasta, check it out here. Creamy cheesy and delicious! I NEED some for my dinner, Dawn. No, I’m not stressed out by the holidays but I am looking forward to Tim’s four days off. My heart goes to your sister and her kids. And of course, to you and the rest of your family. I love how close you all are. As for the sauce … man I wish I could. Looks great. Really simple and that’s a great thing. Simple meals. I love white sauce, and this one sure sounds and looks delicious…creamy and rich…thanks for the recipe Dawn.